Here's a little gem for you! 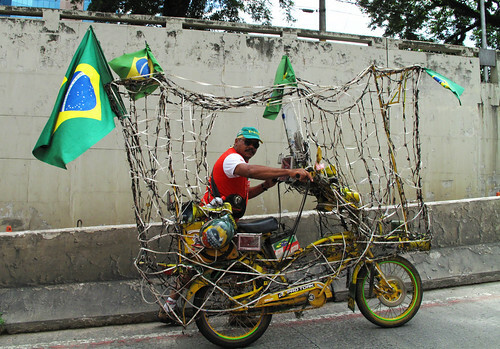 Brazilian cyclists are as proud of their bikes as they are their country. An incredibly creative and passionate land! He looks like he's ready for the World Cup next year!